Hello people of English Russia. 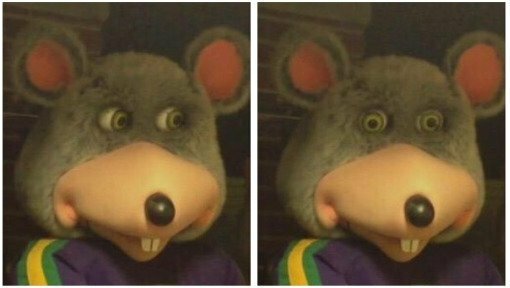 We had an Easter holiday these days so we had no updates on the website. However we are back from vodka and posting. To make up for this longer pause we will make this posting bigger and more fun. We will start it today with..
..with this video. Russian TV channel used a neural network to mix fifteen iconic Hollywood movies into one super movie. The result is this 50 second clip that mixes together Batman, Bruce Willis movies, Jim Carrey and Robocop. Take a look video is above. Must be not very suitable for epileptic people. Talking about the Easter holiday..
We can see these two photos from the Easter holidays with a few years set apart. Here you can see that now Vladimir (our president) is posing with some man instead of his wife. That’s because they divorced. 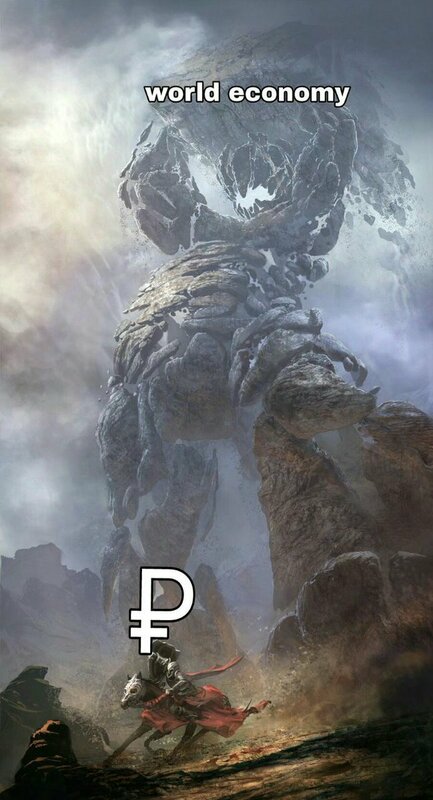 But who is the guy? That’s a mayor of the Moscow. 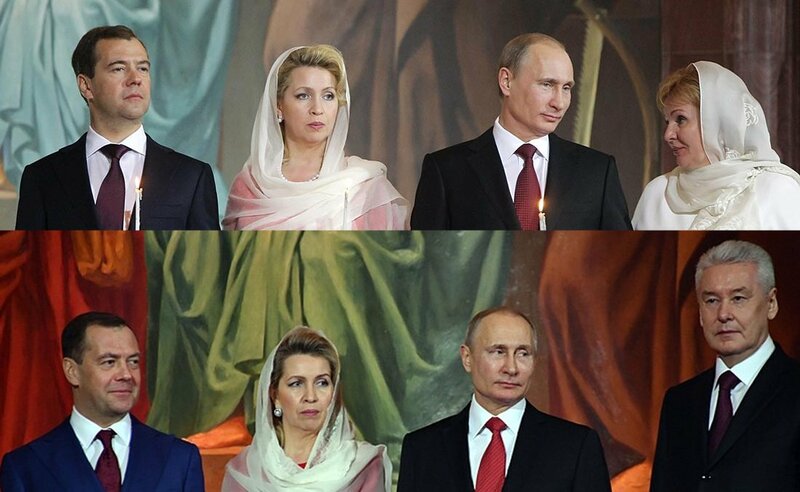 And Dmitri Medvedev wife is still the same, literary – she is wearing same dress, six (or more) years apart. Did you know English Russia has a Telegram channel? You can access it here. You think we are advertising our channel this way? No. We just pointing your attention that there is a such messenger popular in Russia, called “Telegram”. It was founded by a dude who also was a founder Russian biggest social network. Then he also was famous for flipping police men and oligarchs, throwing money bills from his office window just to see people fight for it and then another day throwing away a journalist’s cell phone from off the bridge when he tried to ask him a question. 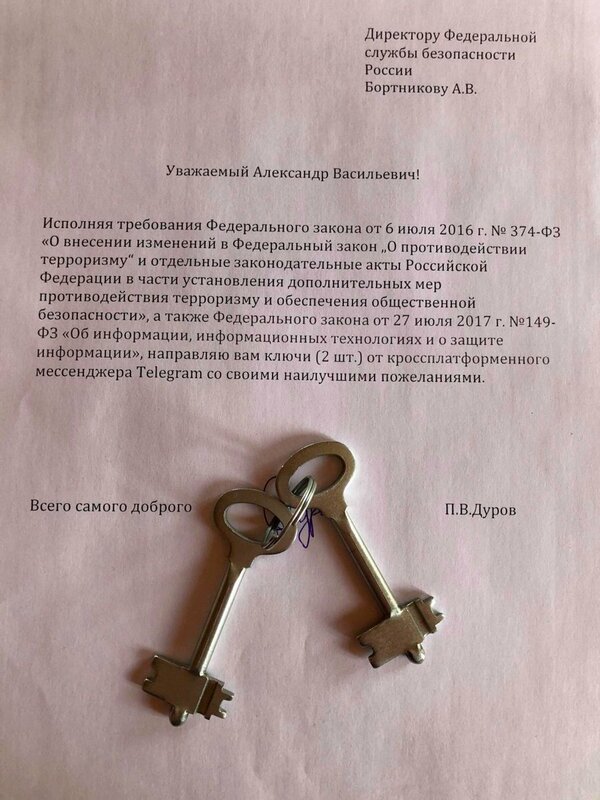 But now he did something else – FSB (ex known as KGB) demands encryption keys from the Telegram messenger. FSB wants to be able to read otherwise encrypted conversations. For this Pavel Durov the app founder sends them this message: “To FSB chief. You asked for the keys here they are (2 pcs.)”. Nice guy, heh? Because slapping the bear makes for a good sport. We called it “Empire prepares to strike back” on our Twitter (you can subscribe here). They are wearing an anti chemical pollution suits and gas masks which is sort of in tune of what’s going on in the Syria now. Thought it’s probably an older video and just a pure coincidence. Like it or not but its funny and we post it, though it’s a big pity fighting is happening there and people suffer. Of course it’s a joke, but maybe a not. 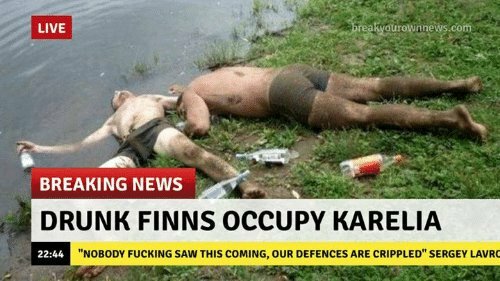 If you have stayed in some regions of Russia bordering Finland (like Karelia or St. Petersburg) you probably heard lots of stories about how the drunk finns behave there. But if you a Finn don’t get offended you probably aware of this too. (Yes Ukraine is our Western neighbor, sort of should be more civilised or something). But they have some problems too – like this old granny has to do this trick each time she needs to board a train. Do you still remember our Easter was couple of days ago. 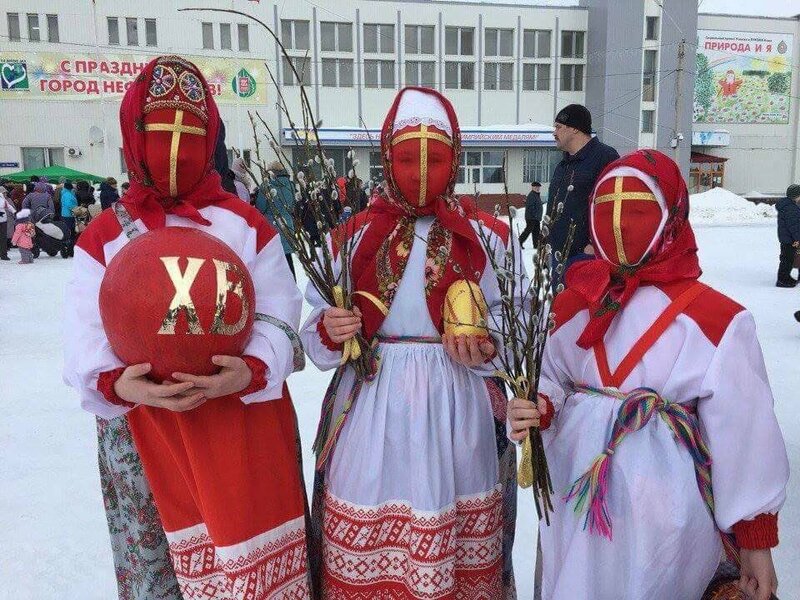 Here is a couple of people celebrating, holding tradition colored Easter eggs (it’s sort of a tradition in Russia to take a boiled egg and decorate it in different colors etc), also holding little branches that we use during our version of the Palm Sunday. The question is (in their heads): should you take Russian Orthodox Easter eggs or Jerusalem? Just kidding but their masks are sort of reminding the crusaders. 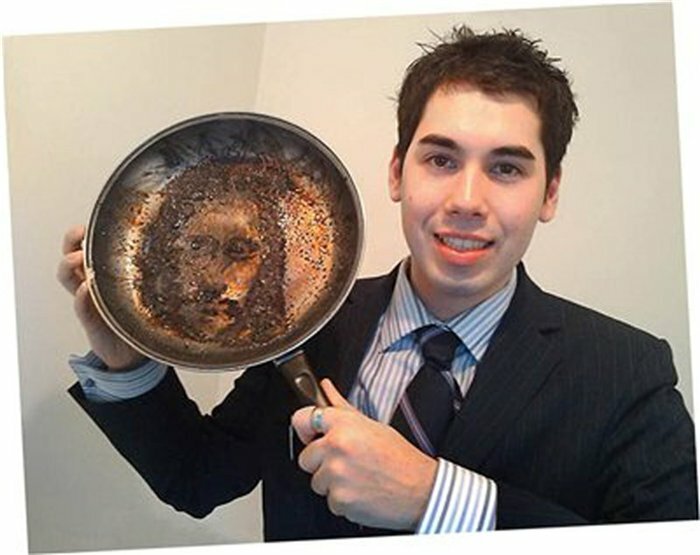 During Easter week Easter this guy got Jesus face on his dirty frying pan. 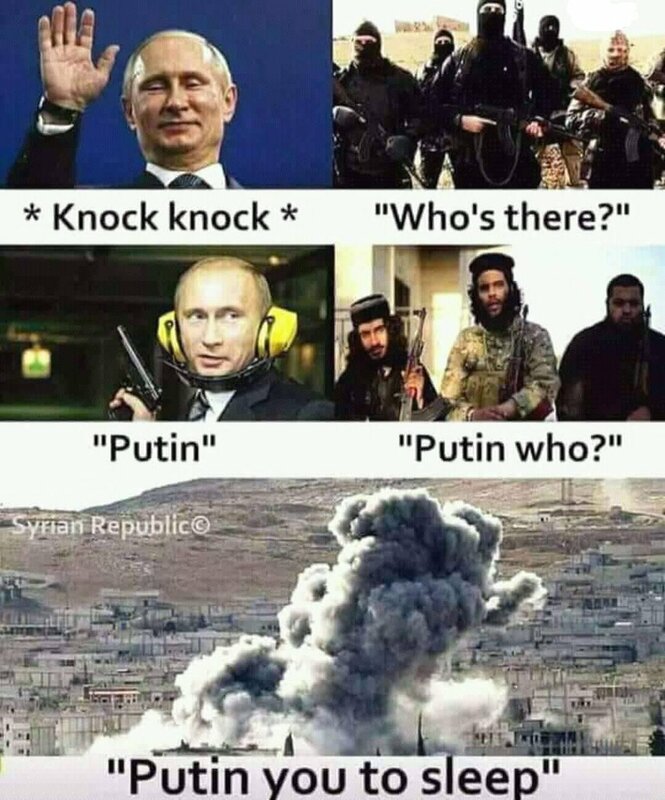 This Jesus also is Putin by the way. Here is a story. Girl cooks her boyfriend a dinner. Tasty pelmeni. Then Mikhail breaks a tooth. You’ll see why if you watch the video above. 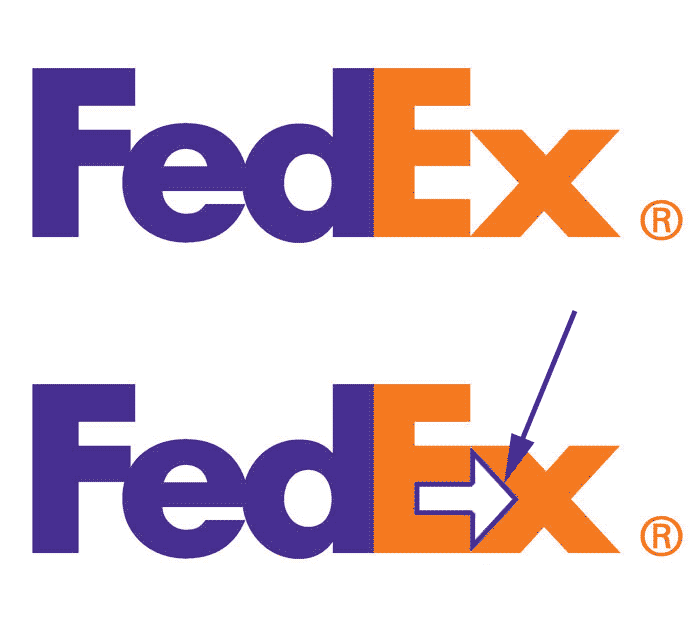 FedEx got an arrow in its logo. 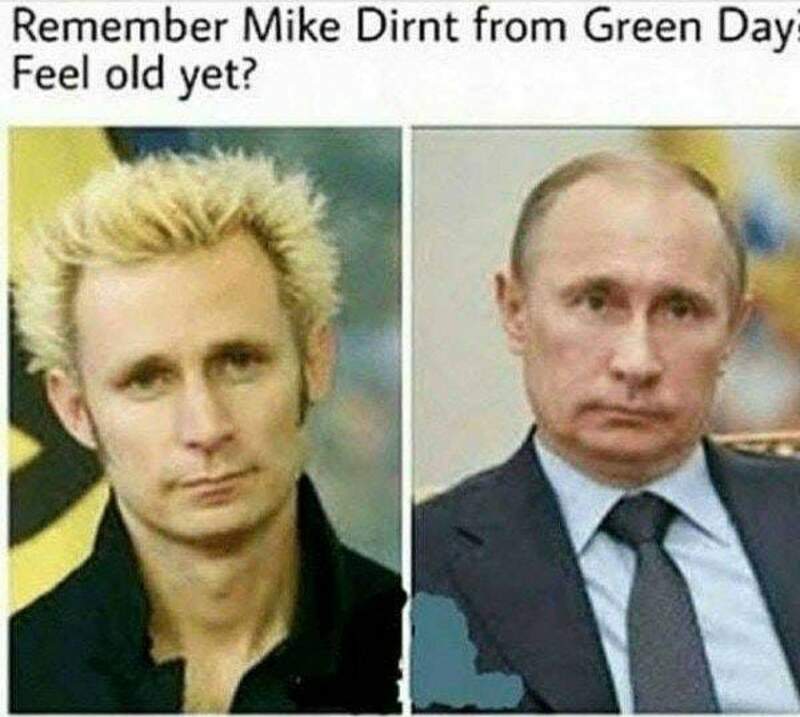 Once seen cannot be unseen. 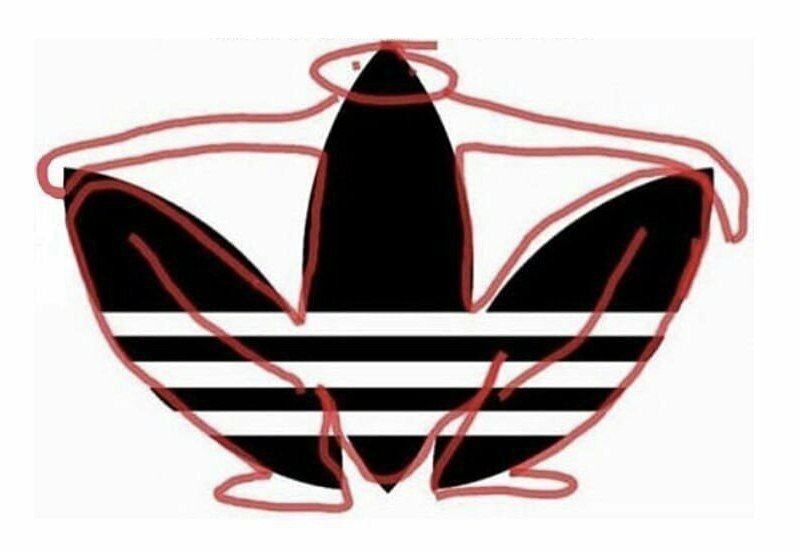 Right, it has hidden a squatting Slavic person in its logo, and yes, that’s probably the reason why Russians (and all Slavs) like wearing the Adidas that much (they also like to squat). 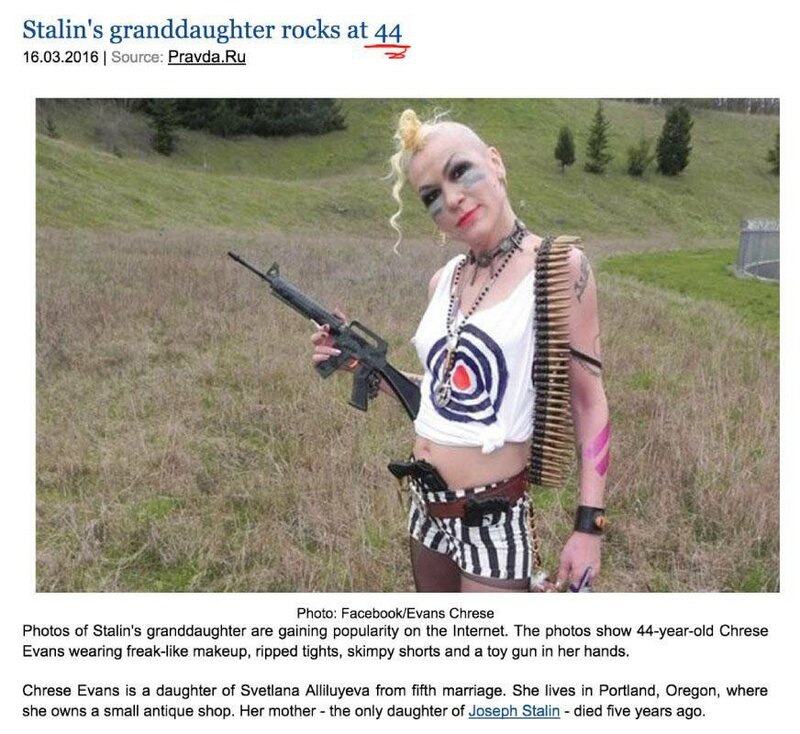 That’s right there is a Stalin grand daughter in Portland, Oregon and she is sort of.. very liberal or not liberal? Still very umm.. unconventional for a Soviet person. It’s just a Babushka dancing but she is so smooth and fun to watch. Too pity she didn’t jump on the scooter and glide away after stopped dancing. And another video. Bear ran thru Latvia-Russia border, broke the fence too. Proves that borders are purely human constructs. Nature has no borders. 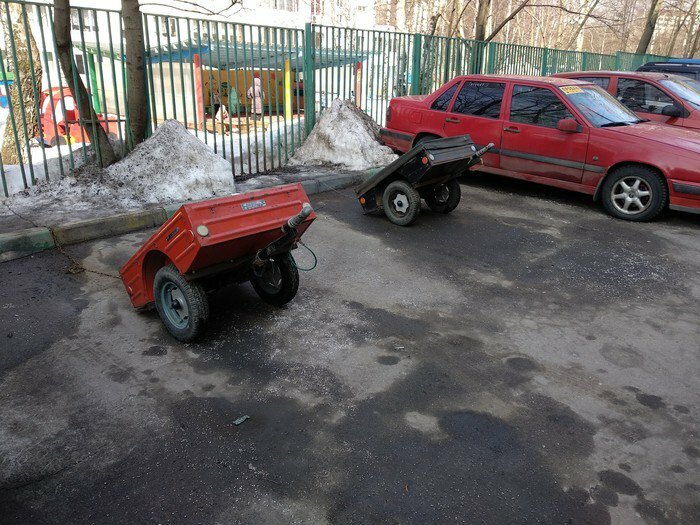 In order to reserve their parking spots while they are out people of Moscow put small trailers chained to the fence or other obstacles this way being sure they have not circle around in search of a parking place when they get back from work. 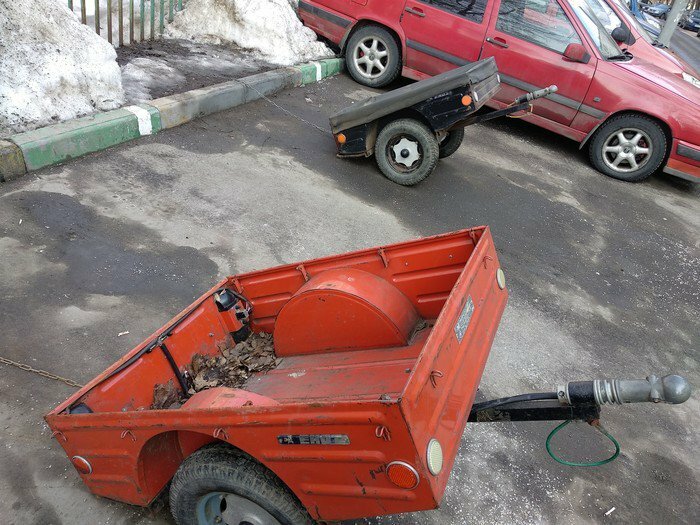 Not sure who first got this idea, but now there are tens of them in some inner streets of Moscow. 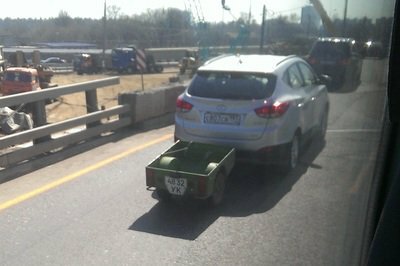 And those are really small trailers. A person in Twitter says American people do same stuff at American North East. Have you seen that? Like, okey that’s a nice dance but not very abroad accepted probably. Ok we are almost there. One more video or picture and that’s it. Here it is. It’s a gif, so it’s a video and a picture at the same time. Showing some Russian college guards (yes Russian colleges, schools and other public places are equipped by human guards), watch the cat movies instead of actual doing guarding thing. Isn’t that cute. Hope you enjoyed those. Come back soon. Subscribe (subscribe? ), nothing to subscribe here, but sharing is appreciated of course. Offset by that girl in the pink dress though… That’s some pretty sweet eye candy. The first picture they look the same only with just a bit of gravity but still very healthy. In Siria – you lie, Siria have its president and yours-goverment “recomendation” – not neendeds its, and as destructive for every other county, also.